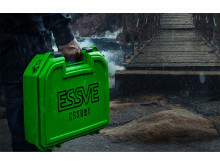 ESSVE - ESSVE provides products and services that help professional craftsmen make safe and secure attachments. 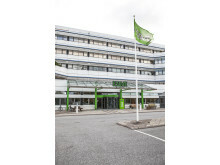 ESSVE the top premium fastener brand in the Nordics have delivered customer insight-driven innovations since 1970. It has resulted in numerous groundbreaking solutions loved by professionals and retailers. 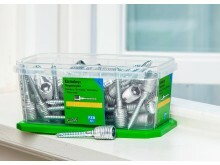 Such as ESSBOX System, an integrated fastener system offering simplicity and efficiency for craftsmen. 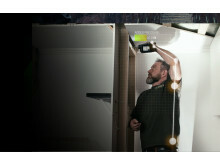 The global launch takes place at the International Hardware fair in Cologne. 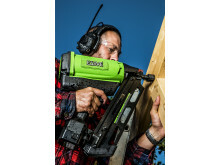 Advancing the frontier in wood screws, ESSVE has created a brand new wood screw ESSDRIVE, which saves the professional users shoulders by reducing the compressive force needed with more than 50%. ESSVE has made a comprehensive technical modification of both the design and function. The result is a completely new type of wood screw which drives itself directly into the wood. The Essbox Mini is here! Essve launches Essbox Mini – the next generation of the packaging system Essbox, which took the Nordic market by storm in 2012. 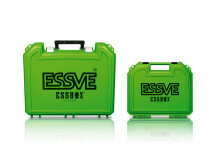 The new Essbox Mini case measures only 60 percent of the original Essbox case and has been developed as a direct answer to the increased demand from professional craftsmen for a smaller version. The Essbox Mini will be available in European markets as of April 2017. Essve introduces the next generation frame screw – Programa Plus. With Programa Plus, craftsmen and window installers can mount both window and door frames with speed and ease without risk of splitting or splintering in either joist or frame. ​Essve now introduces Mounting Adhesive Eco Pro, a water-based and environmentally friendly mounting adhesive with higher initial load baring capacity than any equivalent product on the market. 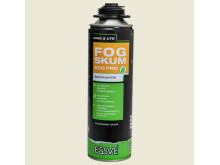 Essve has developed two new sealant products for repair and sealing of roofs. UniversalSeal Allweather is for sealing and mounting of gutters and roofs. New RoofSeal enables easy repair and sealing roofing felt, tin roofs and also cracks in foundations. 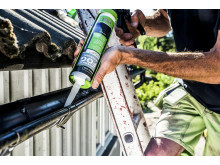 ​Essve launches two new foam sealants, Foam Sealant Eco Pro and Foam Sealant Flex Pro, for effective sealing around doors, windows, pipes, and bushings. Essve is expanding and has recently made a number of key recruitments. Mainly new technical competence has been added, but also sales and marketing has been boosted. In total, ten new employees have joined the company during the summer. 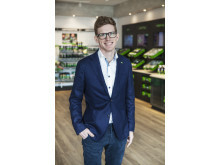 “We have done very strategic recruiting and invested in key competences that we know will be crucial for our future”, says Max Lagerstedt, group CEO of Essve. Max Lagerstedt is now taking over as group CEO for Essve. 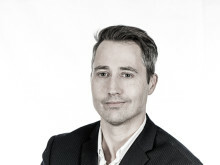 Max Lagerstedt has previously been in charge of Essve’s operations in Sweden, Denmark and Finland, as well as the export business. He will now be responsible for the entire Essve group with operations in ten countries. Essve introduces M-Fusion, a high-performance and more environmental friendly surface treatment for both loose and collated nails compared to products with classical hot-dip galvanization surface treatment. The M-Fusion surface treatment offers a strong protection against rust and will shortly be available on a large portion of Essve’s assortment of nails. ESSVE provides products and services that help professional craftsmen make safe and secure attachments. Essve develops and markets a wide assortment of fastening products and solutions. Since 1970 Essve has enabled partners and customers to become more efficient. In close collaboration with resellers, professional craftsmen and industrial clients, Essve develops innovative fastening solutions making work easier and securing lasting results.